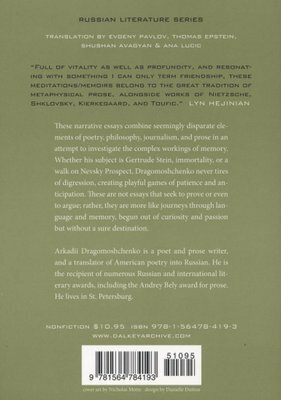 Arkadii Dragomoshchenko, Russia's leading founder of Language poetry, in his new collection of essays fuses seemingly disparate elements of poetry, philosophy, journalism, and prose in an attempt to capture the workings of memory. At stake is not what he writes about--whether memory, Gertrude Stein, immortality, or a walk on Nevsky Prospect--but how he writes it. 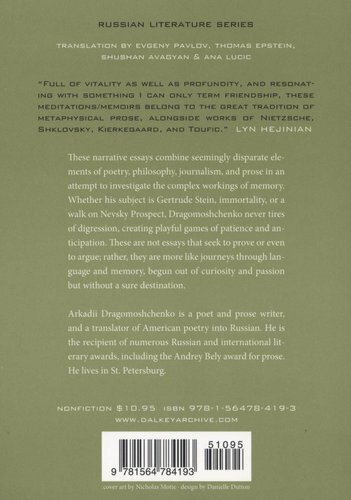 Formally, Dragomoshchenko never tires of digression, creating playful games of patience and anticipation for his reader. In so doing, he pushes story and closure into the background--arriving, finally, but not to a destination. 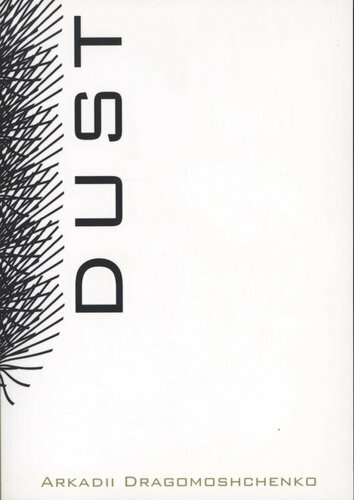 Ultimately, Dragomoshchenko "carefully seeks out the dust of traces from the period of oblivion," which evidently lead to the oblivion of minds.